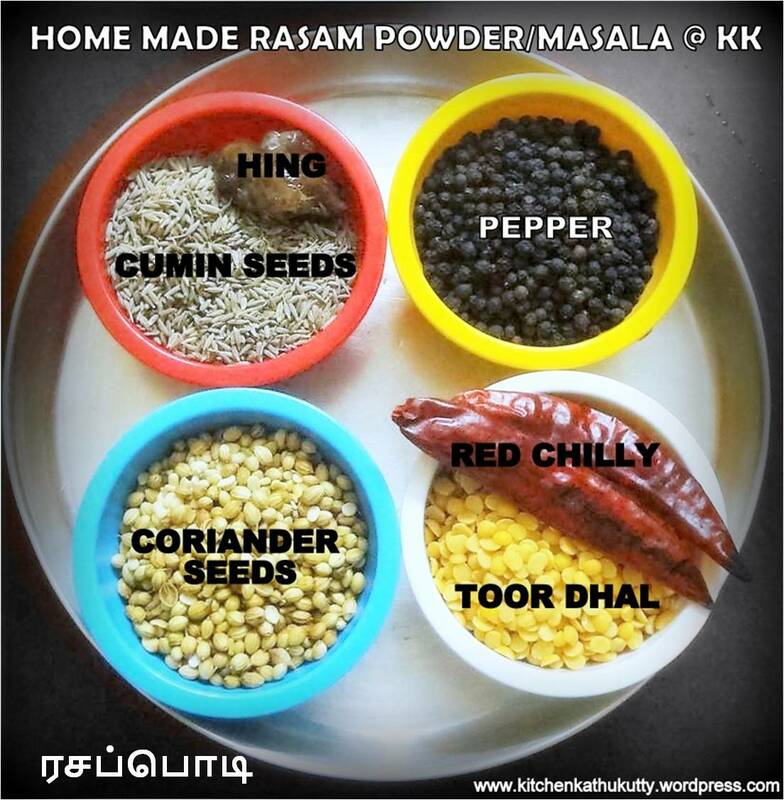 Home Made Rasam Powder is today’s recipe.When I had posted homemade sambhar powder many were keenly writing to me asking for rasam powder. As winter/rainy season is approaching and climate keeps varying very frequently including rasam in daily diet helps you improving immunity and also digestion. I have the habit of making various versions of rasam based on the availability of ingredients daily. Rasam for babies can be given after 8 months. You can either provide this like a soup or mix with rice or mix with dal rice and offer your little one. 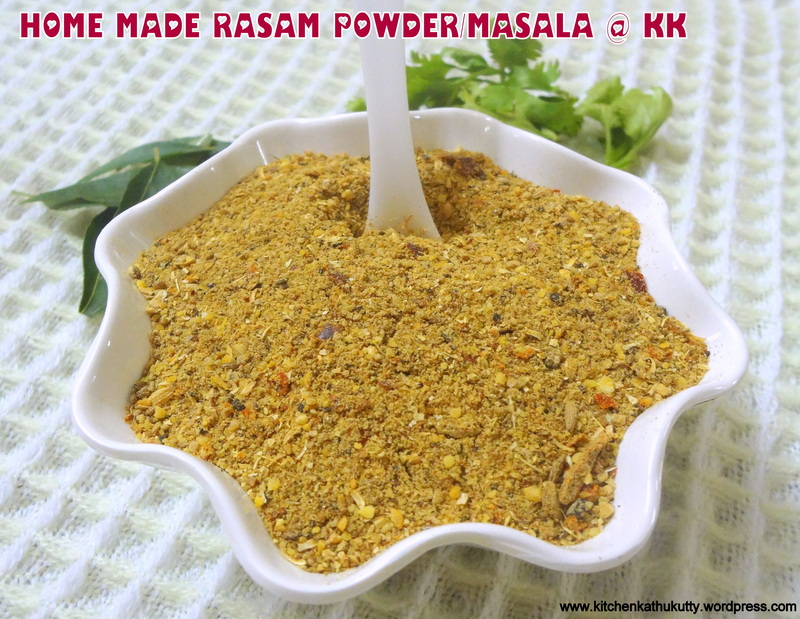 Here is the quick recipe for rasam powder. I shall soon post rasam recipe with this powder. I have already posted coriander garlic rasam and pineapple rasam. Stay tuned for more varieties of rasam. 1. Remove impurities from the ingredients. 6. Add it to a dry mixer jar and make a coarse powder. 7. Spread it on a plate. 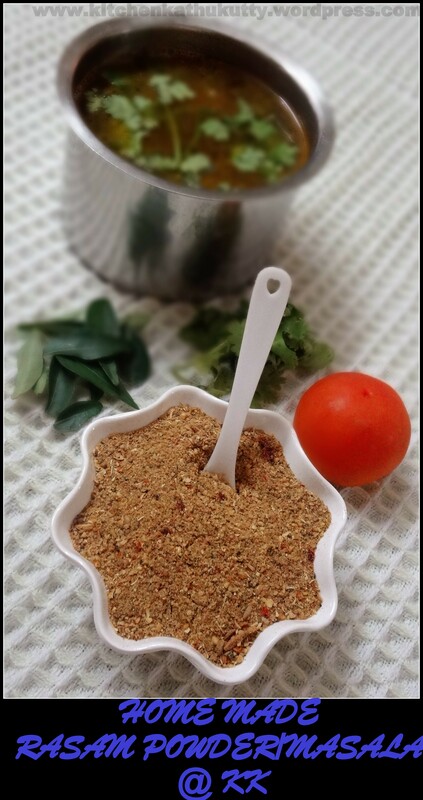 8.Store the home made rasam powder in an airtight container after they completely cool down. You can skip red chillies if you wish, especially when you make for babies. This can be stored for 3 months at room temperature. However, I prefer to make it once in 15 days.